This essential tee is ready to take on the toughest WOD with a layer of comfort. Now softer than ever, the Speedwick fabric whisks sweat away from the skin for a drier feel that endures through every lifting rep or interval set. The Forging Elite Fitness mission statement adds subtle graphic appeal to this shirts front. 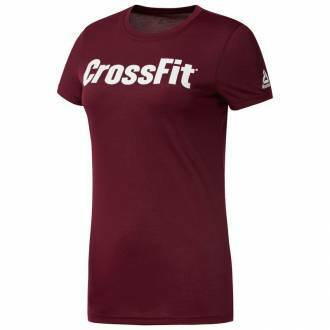 The logo at the sleeve has been refined without the usual American flag detail to reflect CrossFit’s growing worldwide reach. Značkové dámské produkty Reebok Dámské tričko CrossFit FEF SPEEDWICK - DH3714 patří do kategorie Trička. Produkt koupíte pod kódem DH3714. Tento produkt máme skladem. Nyní sleva 26% na tento produkt.